While this time of year is considered the dog days of summer, we're really only a little more than halfway through. There is still plenty of time from now through Labor Day for BBQs, picnics, and weekend or day trips. In fact, take it a couple weeks past Labor Day and, weather permitting, keep feeling that summer sunshine. 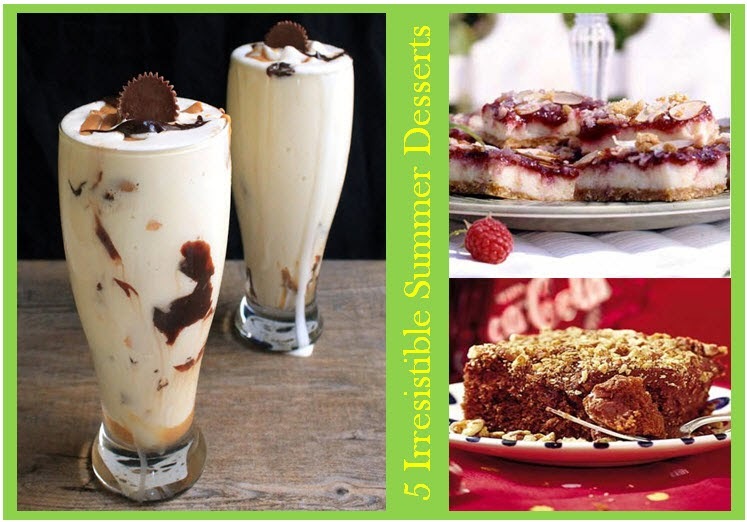 I encourage you all to make the time for a summer outing and when you're planning your outdoor menu, choose one of these delicious summer desserts! Pistachio Triple Layer Bars from Lady Behind the Curtain. 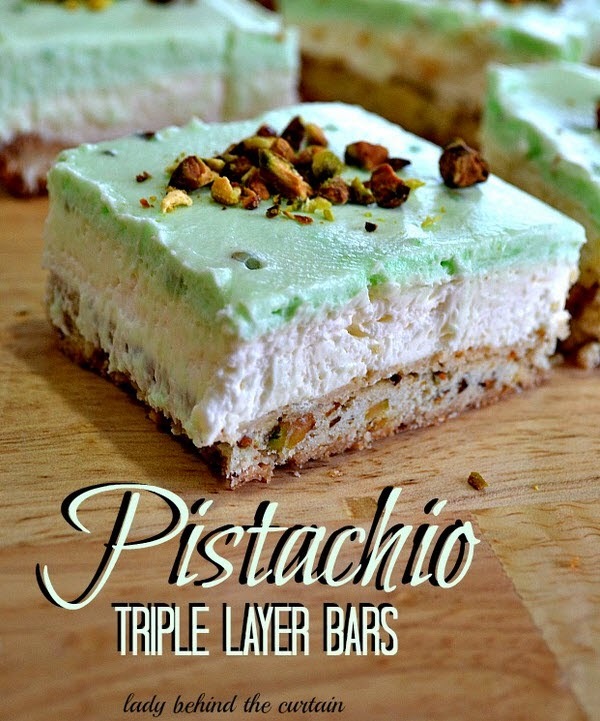 I'm a huge fan of pistachio, so when I saw this recipe, I immediately had to try it. It's a bit more of a formal dessert, but it's beautiful, decadent, delicious, and really not hard to make. It doesn't get much better than that! 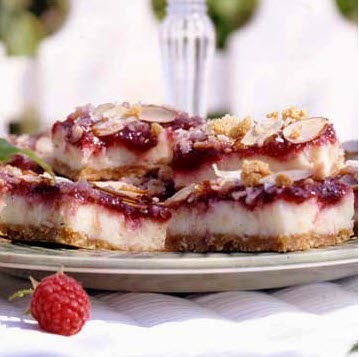 Raspberry Cheesecake Bars from Midwest Living. Raspberry, cheesecake, and almond are a refreshing and delicious combination for these summer dessert bars. They look as good as they taste! Make these ahead of time, so they are nice and chilled for serving. 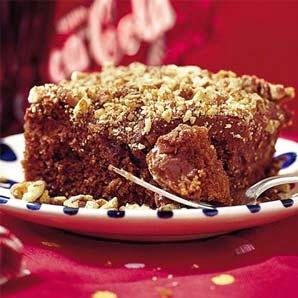 Coca Cola Cake from My Recipes. I have to admit I have not made this yet, but it looks too good to pass up. This is now on my list for my next baking adventure! 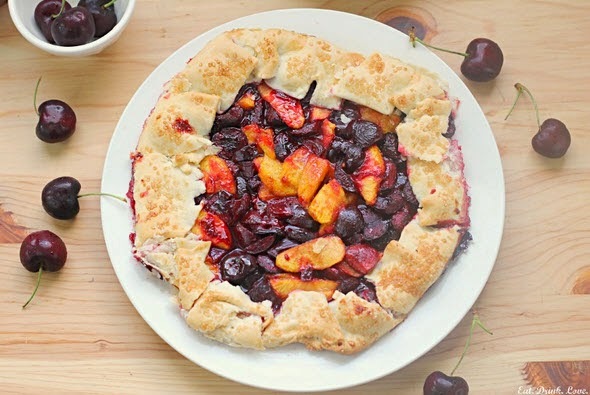 Cherry Peach Galette from Eat Drink Love. Nothing tastes quite like summer than the combination of peaches and cherries! This is a great dessert for a BBQ and paired with a nice sweet wine. 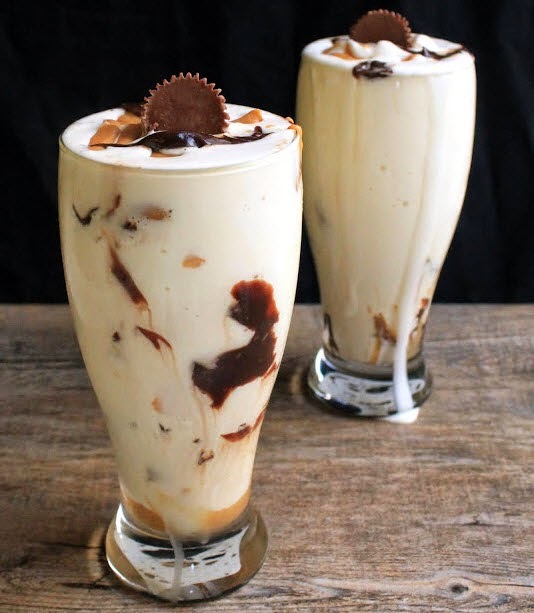 Chocolate Peanut Butter Swirl Milkshakes from The Stay At Home Chef. Delight your guests and revisit your childhood with these tasty milkshakes. 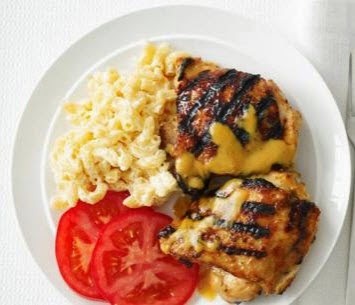 Whether you choose to buy the sauces or make your own, these are sure to be a hit! It's the latter half. You're wondering why the summer goes so fast. You're wishing vacation was still ahead of you instead of behind. And you're starting to seriously think about back-to-school. Well, folks, this is it: the dog days of summer. But rather than feeling anxious that September will come too fast, or dwelling on the fact that summer is too short, take a break. Relax. Renew your spirit. Make a list of 10 summer things you can still accomplish before Labor Day. Then schedule them, so they don't slip by undone. For me, July and August are spent planning for the rest of the year, especially Christmas. And boy if that doesn't rush things along! But I still take time to water my garden, plan a picnic, and squeeze in one more camping trip. And to help you along with your dog days relaxation, we're giving away a summer spa gift set, perfect for gifting yourself or someone else if the occasion fits. And tell us in the comments what is one thing you've yet to accomplish between now and Labor Day? July Product Review and Giveaway! 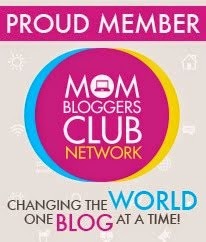 Today we kicked off a great giveaway along with a product review in partnership with Eighty MPH Mom blog! It's been awhile since we offered a gift card giveaway, and we're thrilled to bring this your way! 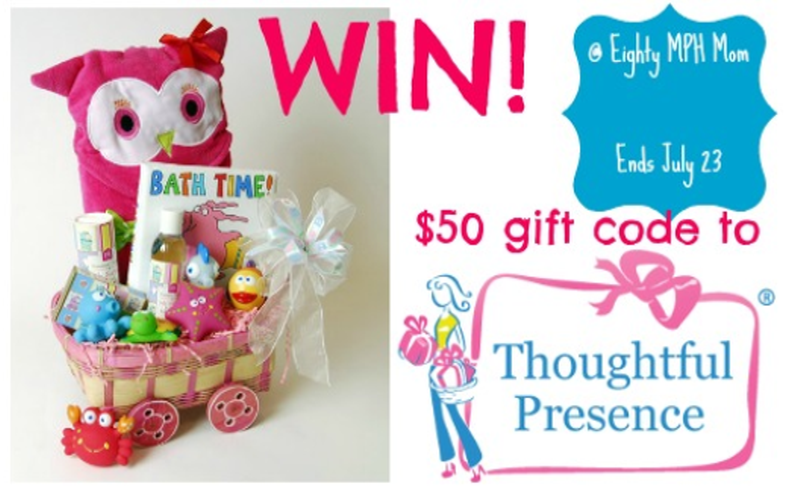 Eighty MPH Mom has great ideas and finds for food, crafts, DIY and more! So head on over and check it out. There are lots of great ways to enter, and you could win a 50.00 gift card to our store! I love a good potato salad for any summer BBQ, but not so much the rich ones made with lots of mayo. I like the flavor but not the calories! This potato salad from Bon Apetit became a favorite a few years ago. It's a lighter potato salad with a nice mix of veggies and tasty Caesar dressing. Enjoy! Steam potatoes over boiling water until almost tender, about 10 minutes. 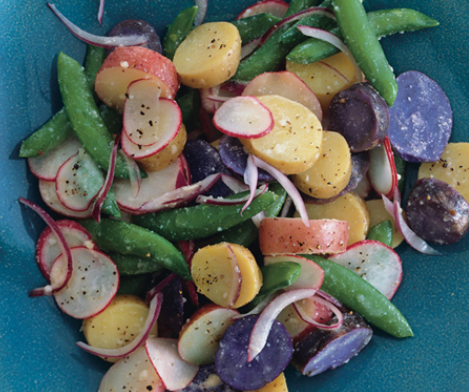 Add sugar snap peas and steam until peas are crisp-tender and potatoes are just tender, 1 minute longer. Transfer vegetables to large bowl. Cool slightly. Add radishes and onion. Whisk next 4 ingredients in small bowl to blend. Whisk in Parmesan. Season dressing with salt and generous amount of pepper. Add dressing to potato mixture; toss to coat.Season with more salt and pepper, if desired. Serve warm or at room temp. 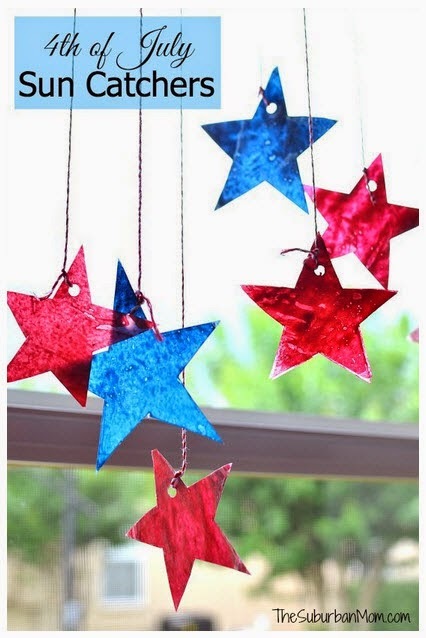 Whether you're preparing handmade decor for your 4th of July party, making gifts for the grandparents, or just looking for a fun 4th of July activity, these fun 4th of July craft ideas are super cute, easy, and make a beautiful finished display! Enjoy! 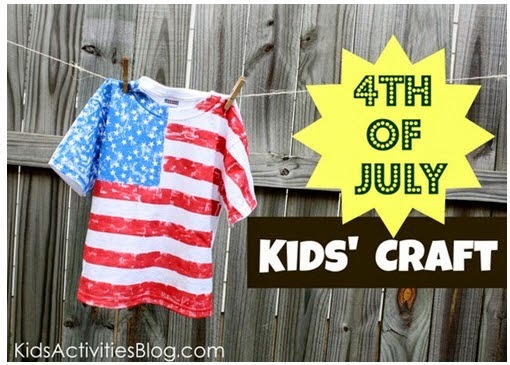 The kids are sure to enjoy wearing this American flag shirt on the 4th and all summer long! 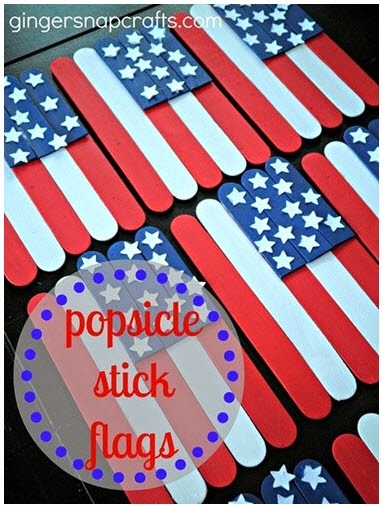 These popsicle stick flags from Moms by Heart are great to make and save to use year after year. Give them to Grandparents as a gift and they will be delighted to display them year round! 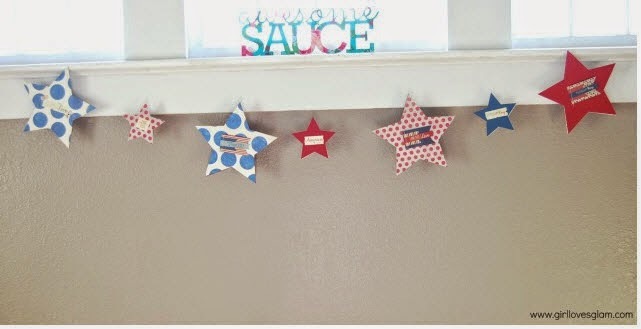 This garland from Girl Loves Glam is so easy to make and will be a favorite for scrapbookers since you probably already have this paper on hand! (I know I do!) Vary your designs according to the paper you choose - a great idea for all occasions. These suncatchers from The Suburban Mom are easy to make, and can be hung in the window or outside to bask in the sunshine. Who doesn't love the age-old craft of rock painting. Fun for kids to create their own designs and display as part of your table setting, around the garden or give as gifts. Love these! 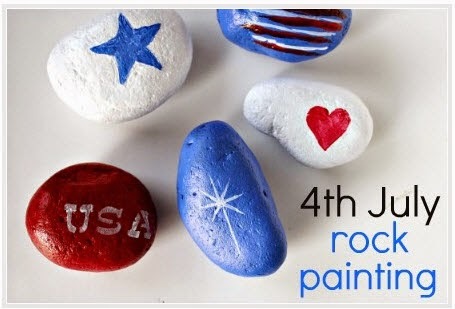 Happy 4th of July and enjoy your crafting! 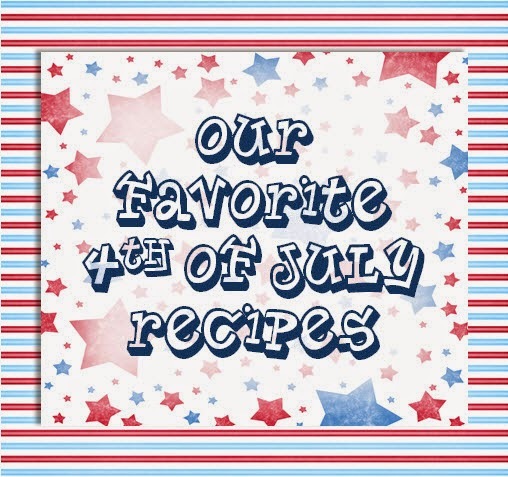 While I've been scouring the web for recipe ideas for our 4th of July BBQ, I've captured some of the best looking festive foods to share with you. Most are easy and one is a bit more challenging, but all are perfect for an Independence Day bash. Pick the one that works for you and let me know how it goes. 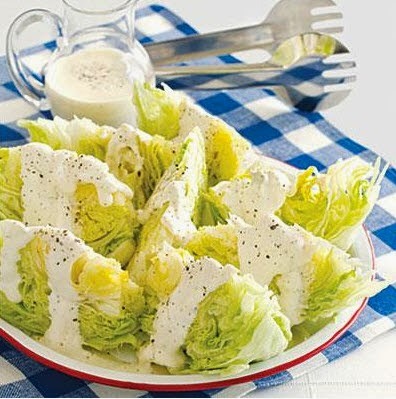 For a great salad, these lettuce wedges are all-American and summer refreshing! Add some chopped tomatoes and crumbled bleu cheese if you'd like! 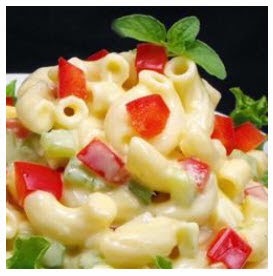 If you like a traditional macaroni salad, you can't go wrong with this all-American favorite from allrecipes.com, Amish Macaroni Salad. It's pretty traditional in flavor but includes dill pickle relish for a sweet and tangy twist. This is one of my personal favorites! 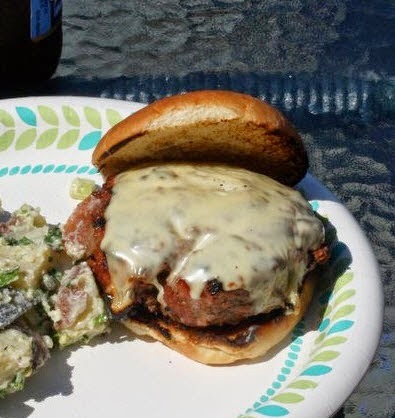 And for a couple of main dish options, still in the category of all-American BBQ, savory burgers from feedmephoebe and Carolina style BBQ chicken from Food Network. And for desserts, I give you one easy recipe and one challenger! 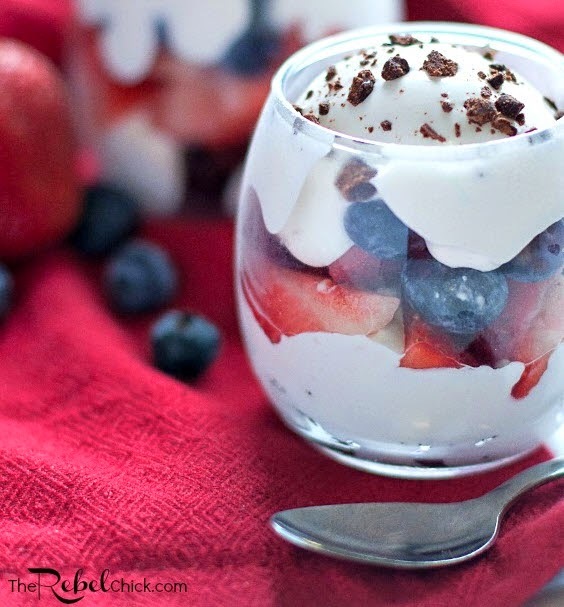 From The Rebel Chick, this berry and brownie trifle looks oh so festive and quite tempting! 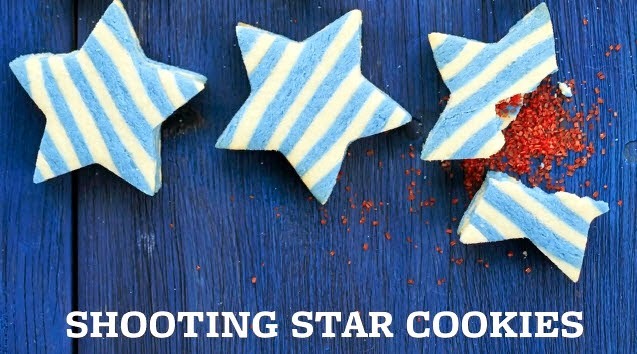 And my ultimate challenger comes from BHG and includes video instruction, so if you're feeling ambitious and time allows, give these shooting star cookies a go. They look so much fun to make and eat!